Add a touch of shimmer without an extra step! 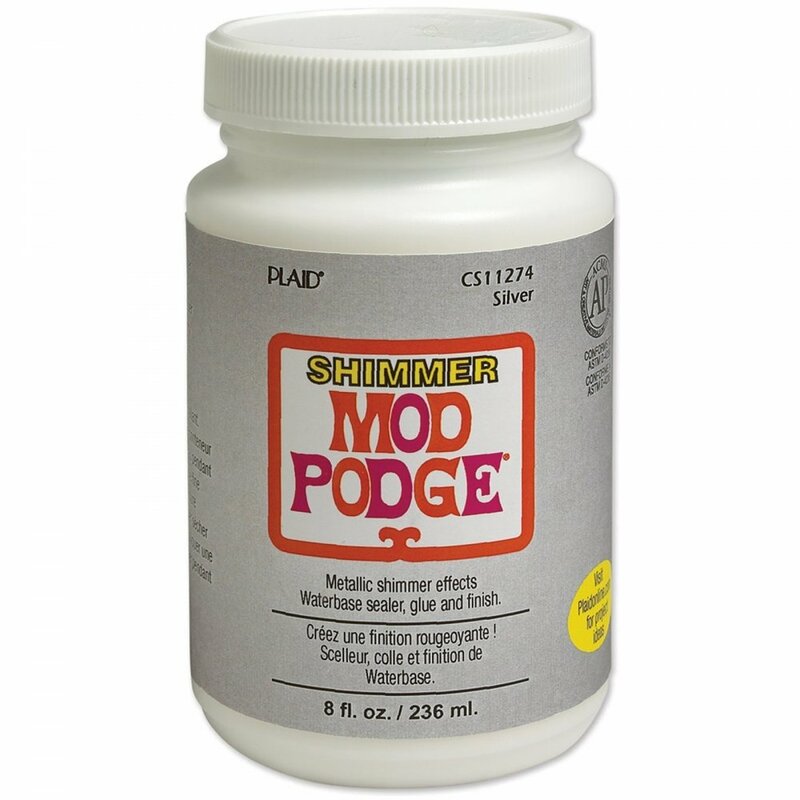 New Shimmer Mod Podge provides the ease of original Mod Podge with an elegant metallic gold or silver finish. Perfect for wedding or holiday projects. Mod Podge is the original all-in-one sealer, glue, and finish. It's excellent for decoupage and is perfect for wood, paper, fabric, and other porous surfaces. This water based formula dries clear and holds tight. Mod Podge is non-toxic and cleans up with just soap and water, so it's great for kids. It protects acrylic paints, stains, fabric, and more. I have recently started using different Mod Podges, and thought this would be a great one, however, to be honest, it is so different from the "sparkle one" it is just too dark! It appears like a grey glue with a shimmer throughout. I was quite disappointed in the darkness of the glue. Much prefer the pink label sparkle Mod Podge. Test it on a small sample before you go coating something with this! It won't do what you first thought it would! Shame, but Mod Podge can't be right all the time!